Why? 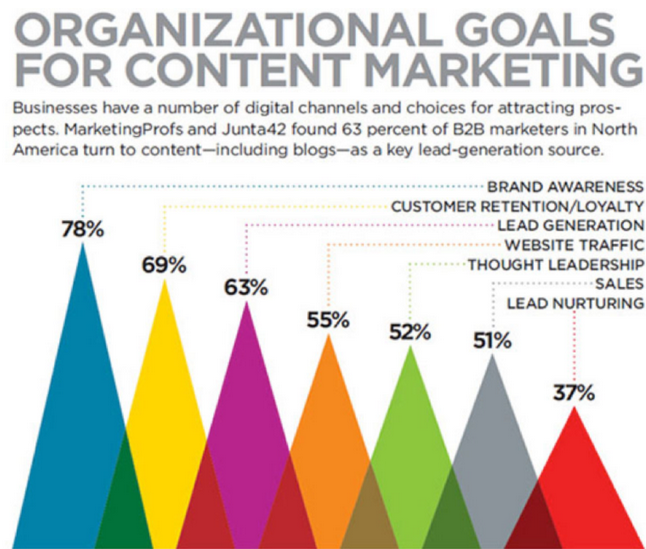 Because Content marketing has the power to grow your traffic, to generate leads, and to deliver real Marketing ROI. It’s 3 times more effective than outbound strategies. It can boost your conversion rates six-fold, and, most importantly, it can establish your organization as an industry thought leader that offers genuine value to your audience – while providing a welcome relief from the 5,000 plus ads (as per a study) consumers are trying to ignore every day. 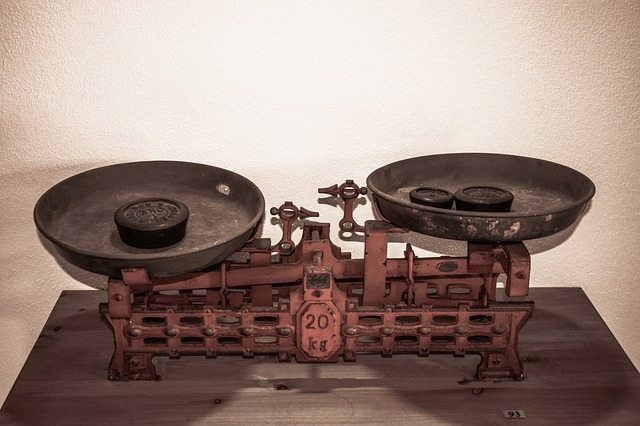 The foundation of a strong content marketing strategy is quality content. You need brilliant content to actually achieve results from your well-thought out strategy. It will never happen overnight. Or, next month. But, consistent, strategic content, created and delivered by skilled content marketers, can transform your business’s potential and open the door to exponential growth – at, on average, 62 percent less than the cost of outbound. Mediocre content won’t drive engagement. It won’t endear your audience to your brand. It’s not going to offer much value to your customers nor can it distinguish your organization from your competitors. And, it’s definitely not going to generate noticeable leads or boost your conversion rates. 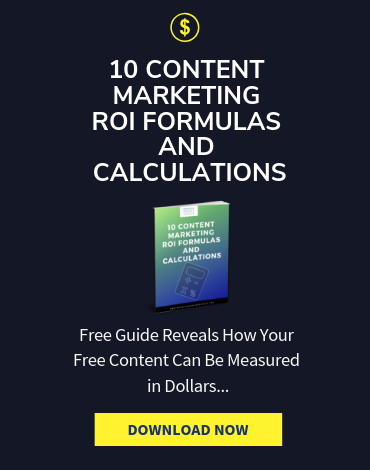 Which leads to the number one content problem for businesses and agencies – if your organization doesn’t already have in-house content creators, where does this quality, original, hyper-relevant, value-driven, expertly-crafted content come from? For many companies, the answer is to look for a content marketing agency to support their efforts. 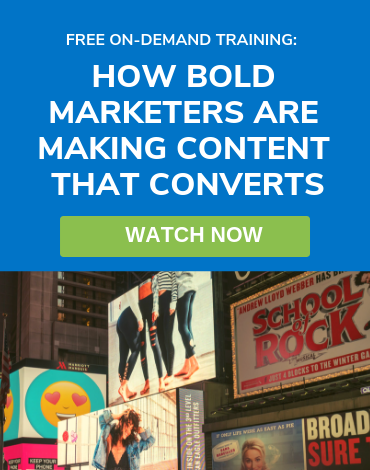 Why are Some Agencies So Quick to Say They “Do” Content Marketing? I go over a lot of tech and entrepreneur forums to stay connected to our community. A few weeks back a fellow marketer responded to a question and the name of the agency in her email signature caught my eye, so I visited her site find out exactly what they do. Don’t get me wrong: It’s entirely possible that an SEO or PR agency can add services and staff and claim to do “content marketing,” but so often they don’t. A company that engages an SEO or traditional PR agency to handle content marketing might end up with some poorly-written blog posts with no strategy behind them or content that’s over-optimized for SEO and completely unhelpful. Just any content won’t help much. Which is why, choosing the right content marketing agency for your organization is key to reaping the long-term rewards of great content. Why Should You Work with a Content Agency? Working with an agency isn’t just about seeking a high level of content. There are a lot of practical reasons why you may want to hire out rather than keep it in. Hiring a full-time content writer, video producer, marketing event planner or other role is always going to cost more than outsourcing. When you work with a reputable agency, you pay only for the content you need for your organization without having to worry about the costs of onboarding and training, benefits and a full-time salary. When your content needs spike for a new campaign or to fatten your overall strategy, a content agency will have the resources to cope with the extra work. Instead of limiting your strategy by the skills your in-house team has, by working with an agency – or agencies if you use a dedicated provider for content writing, video, event organizing, and other types of content – you can have all your content needs fulfilled by experts. You may have someone in-house to develop well-researched white papers and blog posts and a talented digital illustrator to create infographics, but with a content creation agency, you can access the full spectrum of specialized skills that go into developing great content where your team falls short. We have delivered content marketing strategy for more than 70 companies. 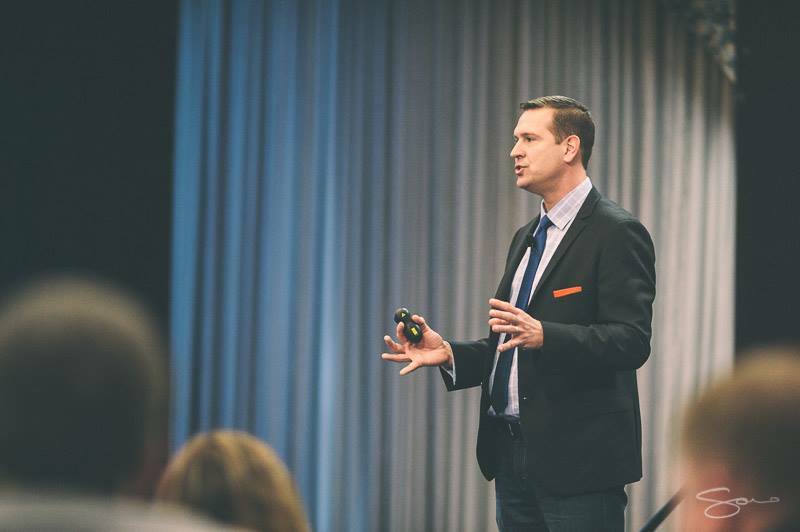 And I’ve been speaking and training marketing pros on the latest content marketing trends for more than 7 years. When looking for a content marketing agency, make sure the people you are talking to have been in the industry, have led client-side content marketing projects, and have the ability to build the business case you need to succeed, to develop the content your audience wants, and to measure results your executives want to see. The challenge for most brands is in identifying a stellar agency that truly has the capability to well serve your business. The reason this is so difficult is rooted in the success of content marketing itself. There are quite a few agencies out there that have rebranded themselves as content marketers to meet the industry demand and to grow their own business. However, many times they excel in other areas of marketing, not necessarily content. Your SEO and social media strategists, digital advertising firms and website design services – a quick search will reveal dozens of these cross-specialty agencies that have started offering content marketing in addition to their bread and butter services. But, this has led to a lot of confusion and blurred lines for the small to mid-sized, and even larger brands, who are trying to distinguish the true blue content marketers from the other marketing professionals who are offering content services. Part of the reason I started this business was to differentiate myself from the vast array of consultants who have never worked a day inside a real marketing organization. Who have never actually done content marketing for a brand. And who don’t have a real framework for getting it done. And just recently I had a conversation with a prospect who lamented being pitched content marketing for lots of money, with no real framework , or deliverables, and no ability to commit to delivering real results. There’s a big difference between the fakers and the makers out there. And that difference will translate into real content marketing ROI. The objective of hiring a content marketing agency is to help your organization grow and to maintain a competitive edge. Don’t make the mistake of hiring just any agency and missing out on what truly high-quality content can offer your company. What qualities should you expect from the agency you hire? Is it years of experience? A dynamic staff? A killer client list? It’s a no-brainer that you want a strategy that you can easily share with your peers and your boss. Maybe you also want skilled content creators on your team. There are plenty of content creation agencies out there. But not all are ideal for your brand. Outside of the essentials of experience and skill – and maybe a few content creation accolades – when vetting agencies, here are the factors you want to consider to make sure you connect with the right one. And you want to work with an agency that is proficient at delivering that content at the right time, to the right audience, via the right channel, and then measuring the content’s value, tracking its progress and making adjustments along the way. Seems obvious, but a good content agency should know how to tell their story themselves, and do it in an interesting way. That means clearly outlining services and their process, providing some helpful case studies and content to help you evaluate them and make a decision. Content marketing is more than writing a few blog posts. It takes an understanding of the buyer’s journey and the client’s goals. Content marketing experts will help you figure out who to talk to, when to talk to them and what to talk to them about. And a content process will help you get from ideation to publishing and distribution smoothly. Buyers are totally in control of the process these days, which means content needs to be helpful, not promotional, at least at the top of the sales funnel when you’re trying to attract attention and build trust. Audience-first means you have to figure out what your audience wants during every step of the buyer’s journey. How successful has your content creation agency been in the past in the content they’ve made for other clients in your industry? The best agency for content creation on the planet may not be the most suitable for your organization if they don’t specifically excel in your niche. The only way to win at content marketing is to have a very firm grasp of the industry you’re writing for. Look for case studies within the industry or work that’s been done with clients in a similar space. A content marketing agency can’t produce “high-quality content” without understanding the obstacles your customers face and the unique aspects of your industry. You do want to keep in mind, not just what you use now, but what direction you are heading in with your content. For example, if you work with a content writing agency that produces blog posts and social media posts, will they be able to write the scripts for your video series you were planning on adding to your content library next year or will you need to find another content provider? One way to distinguish a standard content creation agency with one that knows its salt is intent – are they amazing at producing stellar content, or are they also working towards creating content that will help you achieve specific marketing goals? Ideally, your agency will be able to deliver tailored content for your specific objectives. As your objectives change, your agency should be working with you to tailor the content to meet your evolving goals instead of simply churning out the same content. For the real deal, you want something much more important than high-quality videos and optimized blog posts. You need a smart, data-driven strategy that will work to achieve measureable results. –Lynn Tan, Content Marketing Manager at TNT Express Worldwide B.V. 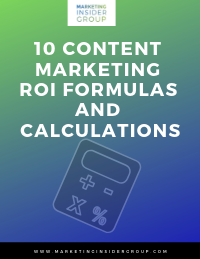 If your content marketing lacks strategy, you risk diminishing the impact of each piece of content and every dollar invested. When it comes to being able to deliver a winning strategy, you want to see a foundation of research and data, funneled through creativity, skill and foresight. This is a useful litmus test for gauging an agency – ask to see samples of their buyer personas for other clients. How actionable their buyer personas are is a good indicator of how far they’ll go to understand your customers and make sure a positive customer experience is felt throughout your content. Personas with a lot of detail, that are updated regularly and that draw upon both qualitative and quantitative customer and market research are hallmarks of a good strategy. Your brand’s story is the thread that strings together all of your content. Really proficient content marketers will be able to identify and express your brand’s history, personality, and vision better than you can. Repurposed content isn’t just about recycling good content into different platforms to squeeze more engagement out of your content budget. It’s a way for emphasizing your messaging and delivering a more holistic experience for customers. If your content isn’t being repurposed properly, you’re missing out on the benefits of having a really good multi-channel strategy. A lot of resources go into your in-person events and heavy-research white papers – how will these big hitter content pieces be reformatted into infographics, ebooks, podcasts and blog posts? Ideally, your agency will take a creative approach rather than using a standard recap format for repurposed content. For example, using surveys and gathering quotes from participants and speakers at your marketing events to use for statistic-inspired infographics and unique social media posts that will keep your audience interested months after the event. This goes a lot further than merely posting blog posts to recap key points of the event. Once your content marketing strategy is implemented, what system is in place for measuring its reach? You want more than a documented strategy and reporting on metrics. How will your content marketing agency evaluate how well both the strategy as a whole and individual moving parts are doing? What is the process for refining the strategy as needed? This is where the use of an agile marketing methodology is helpful. But, even if your agency doesn’t use agile methods, you still want to see a level of flexibility and a process for tracking and responding to missed benchmarks. Next to being strategic, probably the most essential quality to look for today is being well-versed in marketing technology. You want more than vanity metrics and flashy campaigns. You want a deep understanding of what can be done today, how martech is evolving, and what is possible in the future. Marketers have to move out of their comfort zone in order to think like data scientists, so you won’t find a lot of agencies whose strongest quality is being tech adept. How effectively are they leveraging marketing automation, personalization software, content marketing analytics and other tools to deliver results? A digitally adept content marketing agency will give your organization a competitive edge, especially moving forward as the use of AI and machine learning in marketing technology becomes more sophisticated. What does their marketing technology stack look like? It’s one thing to use a dynamic martech platform – but what results are they able to get out of their technology? How many (if any) staff at the agency have a computer science, statistics, or other relatable background? And, how knowledgeable are they about how tech innovation is evolving digital marketing – from AI-inspired platforms to the use of voice search strategies and the latest breakthroughs in ‘alternate content realities’ like VR and augmented reality? Ideally, you’ll choose an agency that will be a part of your brand’s marketing for the long-term. 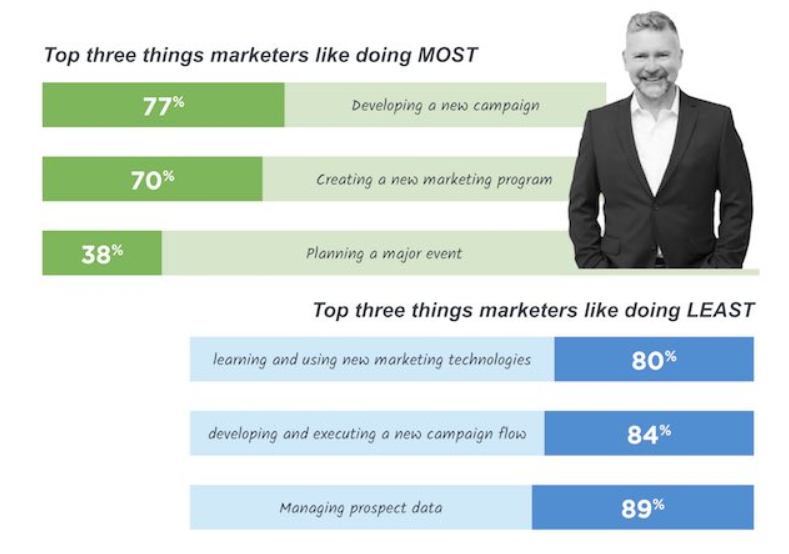 Right now, martech is evolving all facets of marketing, including content, faster than most of us are aware of. It’s critical to have an agency that is aligned with this reality on your side and that is proactively implementing leading technology tools to improve their work, and their content. 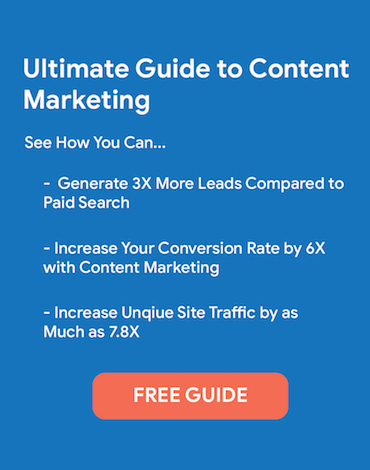 The best content marketing strategies stand out because every nuance – everything from email subject lines to event giveaways – all perfectly fit within the strategy, expressing the unique personality of the brand and answering the unique needs of the customers. Great content is able to resonate with the ethos of the organization and of each individual campaign and piece of content, yet it should create a seamless experience for the audience. This means each piece of the puzzle needs to be well thought out as to the purpose it has and how it supports, complements or enhances other facets of the content strategy. 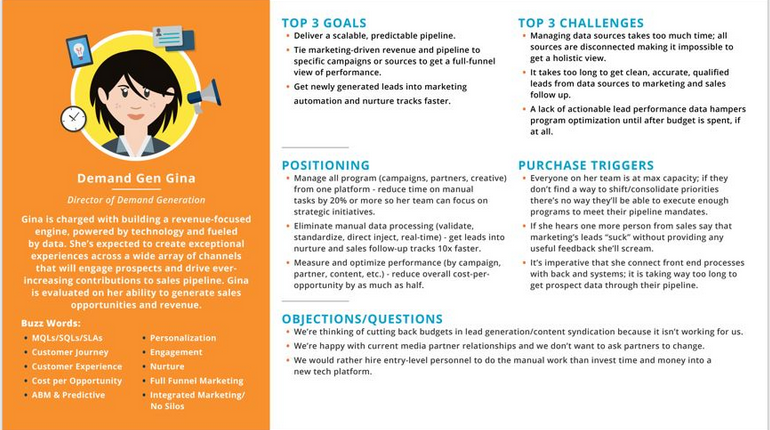 HubSpot is one of the best examples of B2B content marketing. Through their content marketing strategy they’ve coined the concept of inbound and have distinguished themselves as a consistent leading contender in the marketing software industry – a huge feat considering how flooded this market is. What they’ve focused on is customer education. From the HubSpot Academy to Inbound – one of the biggest marketing events every year – HubSpot sets the bar for value-driven content. The best way to find a visionary, yet meticulous agency is to look at how they have pulled off this balance for other clients. If there are services you want out of an agency but they don’t provide them, that doesn’t need to be a deal breaker. In fact, there’s always a risk with a jack-of-all trades agency – they may not excel in all areas if they produce everything. What a good agency will do, however, is outsource or refer you to other specialized providers who they have built relationships with and know to be reputable. What Makes a Good Content Marketing Partner? When choosing an agency to work with, it’s not just about skill level and experience, but also alignment. The agency you hire will become a long-term partner. There has to be some value and vision alignment, or, at least, a deep-seated mutual respect. Number one for finding a good partner is simply experience. 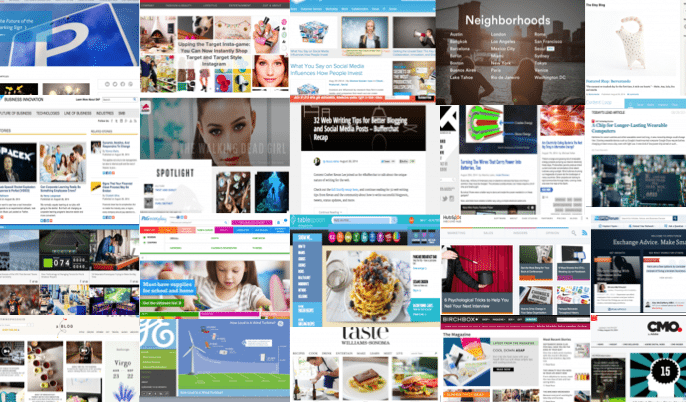 We’ve helped design content marketing strategies for more than 60 companies! Does the agency you are considering, have a high level of experience in content marketing? Can they show you content hubs they’ve built? Content they’ve created? Have they worked in both B2C and B2B? Chuk Frey, director of content marketing at Milwaukee-based digital marketing agency, Cultivate, offers two ways to determine subject matter expertise. One way is to follow the agency’s social media profiles, namely LinkedIn, Google + and Twitter, to get a feel for their depth of knowledge and how well they are respected by other key industry players. Look to how they respond in discussions and how others respond to them. Another way is to talk to former and current clients, if possible. It’s also important to take an honest look at relationship potential. Just as with any partnership in business (or life in general), there has to be some level of compatibility. What about their ethos, work ethic, organizational culture? Does it resonate with your organization? How do they communicate with their clients? Virtual meetings, phone calls, emailed reports? How intimate or professional are they in their client relationships? Will these practices and traits mesh with your organization in the long-term? There should be a lot of back and forth, discussions, and ongoing communications. Communication and character compatibility may be difficult to assess before you begin working with an agency, but it’s worth it to play close attention to your interactions during the vetting process to try and get an idea for how well you’ll work together. An agency may have an alluring marketing campaign themselves (always a good sign of high level marketing skills! ), as well as experience in your industry. They may also seem like a great character fit for your brand. But – are they genuinely qualified? How can you tell they are a top-level content marketing agency – content thought leaders rather than ad agency or SEO expert crossovers? These factors will give you a better idea of the level of experience an agency has. It can be difficult to discern how qualified content marketers are simply from talking to them and looking at their past work. But, from researching the footprint they’ve made on the industry, you can get a clearer picture of how experienced they really are. This isn’t to say that a newer content marketing agency that hasn’t had the chance yet to build up a large repertoire of qualifying signals isn’t worthwhile. But, even a younger, yet brilliant agency will already be establishing their organization as thought leaders with plenty of content across mediums. After all, they are content marketers. So, your content marketing agency has to be strategic – preferably staffed by international chess champions – have analytical minds that rival the employees of Deepmind, and the visionary aptitude of, let’s say, Stanley Kubrick. They need a trophy room at the office for all their awards. And, you have to get along with them. 1. Be able to help your organization achieve your marketing goals – more leads, build brand awareness, increase conversions and customer retention, and boost sales. 2. Be a good fit in terms of communication, organizational structure, and vision alignment so you can cultivate a long-term partnership. Do your research – tracking the voice, track record, reputation, and recognition of potential agencies through their social media profiles, industry conversations, and their own content. Narrow down your list to two to five of the agencies you want to work with. Start the conversation. Evaluate the work they have done before, their methods, tools, and metrics. Find out if you can talk to current or former clients to learn about their experience. Here is a list of questions to ask potential content marketing agencies. Then, make your spreadsheets, listing out the strengths and weaknesses of each of your top picks. Talk to all stakeholders to get a more dynamic perspective and to make a better-informed decision. And finally, choose the content marketing agency you want to partner with and take over the world. Well, at least, your industry. Don’t settle for mediocrity with your content. 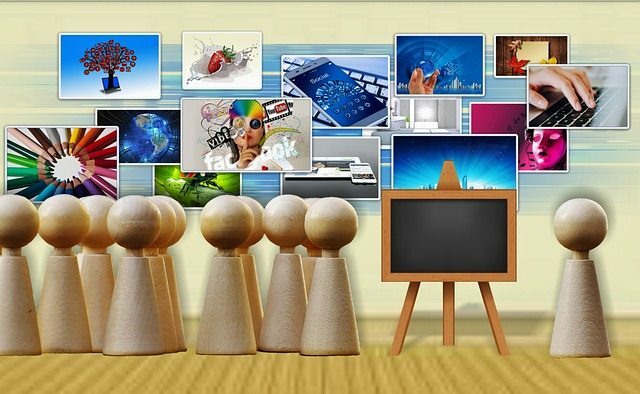 Content marketing is a powerful tool only when it is well-produced and strategically delivered. Your organization may have the strategy down. Just make sure you are using professionally-created content to make that strategy come alive. I wrote this article to help you find a content marketing agency. If you are seriously looking, I promise you I can help. Whether it’s strategy, execution, content development, distribution, or measurement, I can help you define a roadmap to success and then deliver on that vision. Let’s touch base right away! Thanks fo the continued insight, Michael. Looking at your criteria for selecting the right content marketing agency stung a bit… I’m bringing this to my team to help fill in our gaps… there are a few. Thanks Jim, Congrats on the big win and happy to hear that it helped. Great post, I think SEO gets forgotten about so readily in content marketing these days, but I think that often just results in meaningless output to fulfil an agreed quota. Old SEO techniques don’t work anymore, Google algorithm changes have managed to wipe out old thin content with black and grey hat activity that were keeping them up the listing, have now been replaced with longer, broader content pages. For me though the new SEO is research into the topics and sub topics a page and it’s outreach supporting cluster content have to cover to be a success. Engagement metrics are now key to success as well, so remembering the marketing element of content marketing is crucial. I wonder how many people actually manage to maintain the 20/80% ratio of the two? That’s a great point Paul. I still believe SEO is the foundation of all modern marketing. Great content simply answers the questions buyers are typing into search engines. But the job isn’t done once we provide the answer. We also have to market that content. And I bet the percentage who maintain the 20/80 is sadly low.